There are many reasons why people choose to learn a foreign language. They may be planning to travel to a foreign country. They may be learning as a hobby. They may even need to know the language for professional reasons. Whatever the case, certain languages have always been most popular, like Spanish or French. There are other languages that are less popular to learn but do still get some attention, like German, Chinese or Japanese. Up until recently, the Korean language was not even on the radar as a popular language to learn. However, the rise of KPOP, Korean movies and television, and the phenomenon “Gangnam Style” by Psy. As more and more people get interested in the culture, more and more people decide they want to learn the language. There are plenty of reasons why you may want to learn Korean, and here we will focus on the linguistics. So, just how useful is it to learn Korean? Here are ten things that will answer the question for you. If there is ever any reason why you may go to Korea, for work or pleasure, knowing the language can be very helpful. There are more than 80 million people who speak it and it ranks as 18th in the most used languages in the world. 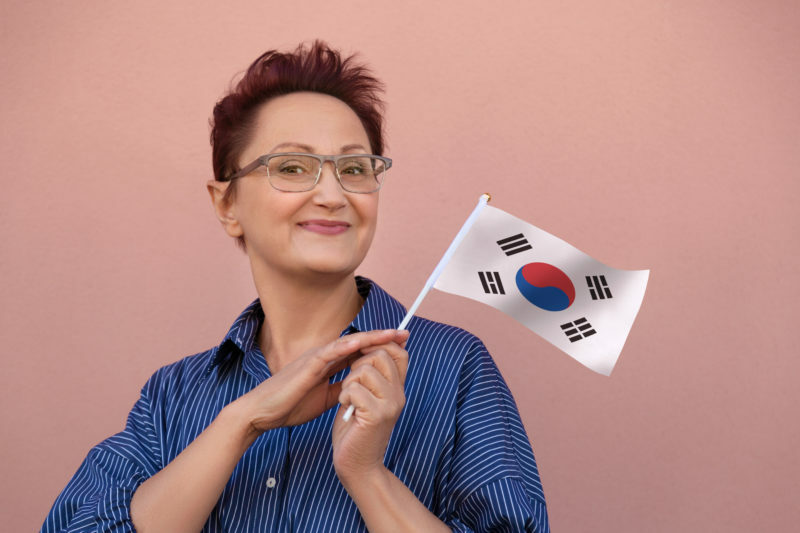 If you plan on doing any sort of business in the country or with businesses located there, you will need to know Korean. Additionally has a large economy and is often considered a vacation destination. You may decide to visit, and knowing the language will certainly help with communication while you are there. Did you know that realistically, it doesn’t take any more than a few hours to learn the Korean alphabet? It’s called Hanguel and it is all comprised of different combinations of circles and lines. Instead of spending days just trying to learn the letters as with other languages, you can have the basics down in a day. Think about how quickly you can move on to learning the other nuances of the language since you will know the alphabet so quickly. One of the big reasons why English is considered the hardest language in the world to learn is because pronunciation is seemingly random. Often, there’s no discernible rhyme or reason why one word is pronounced one way and another word with the same combination of letters is pronounced differently. Korean is not like this. In fact, the language is extremely logical when it comes to pronunciation and its connection with the spelling of the words. Learning the rules will take time, and that’s ok. But, once you have the rules down, you likely will never mispronounce a single word. The grammar can be difficult in the very beginning because in the English language, we follow a pattern of subject, verb, object. For example, Jane reads the book. The Korean language follows the pattern of subject object verb. So, the same sentence in Korean would be translated as Jane book read. It can feel unnatural when you are first learning the language, but once you get used to the pattern, it becomes easy. You don’t have to worry about conjugating verb forms in Korean. No matter if the verb is plural or singular, it uses the same form. Many other languages conjugate verbs, which can be very difficult to learn. And, often that’s a roadblock that people get frustrated with enough that they stop trying to learn. Since you do not have to worry about verb forms in Korean, you can sail right past that roadblock. One difficult hurdle many people struggle with when learning a second language like French or Spanish is gender of nouns. It can be very difficult to determine what nouns are masculine and which are feminine. This isn’t an issue with Korean since there are no noun genders in the language. Many other languages, like Chinese, have specific intonations to sentences and words. As a result, someone learning can find it very difficult to speak the language correctly. Korean doesn’t have different intonations, and that makes it easy to learn and speak as well. That’s because you can just speak the words instead of trying to determine how to speak them properly. If you aren’t familiar with the term, honorifics, this refers to using different wording and nuances in a language to show honor or respect. For example, in the English language, you would say “hello ” to a boss, parent, or other higher status person, where to your friends you might say “hi” or slangy terms like “yo” or “sup?” The concept of honorifics is even more highly stressed in the Korean language. You may find this makes things a little harder to learn, but simply follow one rule: if you don’t know, then use the formal honorific language because that’s the safest option. If you are in Korea and you are having trouble remembering a vocabulary word, that’s ok. Try saying the single word in English. Likely it will be understood. That’s called Konglish and it means that Koreans usually know individual vocabulary words in English. Right now, if you are watching a Korean TV show or listening to KPOP music, you likely use subtitles. Or you find yourself looking up the lyrics just to understand. Once you learn the language, this will all change. You can listen or watch and know what’s being said right away. That makes it even more fun. Now you know how useful it is to learn Korean. If you are ready to get started and you’ve decided this is the language that you want to learn, then take a look at the many resources we have available. Once you get started learning the language, you will find that it is fun and interesting. And the best part is, it has many practical uses. You may one day decide to visit the beautiful and historic country and you will find you enjoy the culture all the more when you can communicate easily. You may find yourself doing business with a Korean company, and life will be so much easier when you know the language. Now when someone asks, how useful is it to learn Korean, you can answer that question. There are actually many more that you will soon discover. Is it Expensive to Learn Korean?